Carey Services is one of the Grant County manufacturers highlighted in the “Still Making It In Grant County” exhibit at the Marion Public Library Museum. The exhibit celebrates Grant County’s strong manufacturing presence as well as its rich manufacturing heritage. 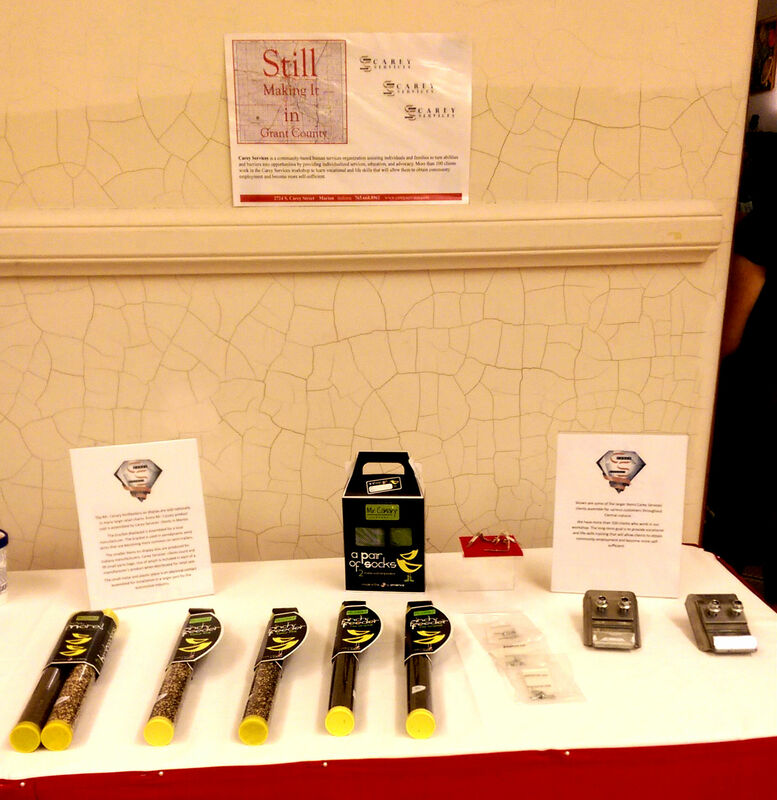 The exhibit includes samples of products built by local manufacturers. The Carey Services table includes examples of the Mr. Canary bird feeders we produce, as well as items assembled for other Indiana manufacturers. The exhibit is open until Oct. 31. Hours are 9 a.m.-4 p.m. Monday-Thursday and 10 a.m.-2 p.m. Friday and Saturday. The museum is at 600 S. Washington St., in Marion. For more information, call the library, (765) 668-2900.